Cold temperatures, gray skies, short winter days? 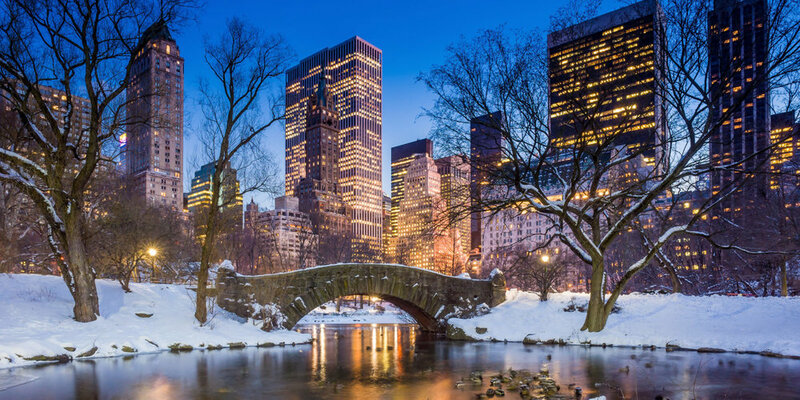 Although it might not sound ideal, New York locals know that winter is actually the best time to enjoy the Big Apple — you’ll encounter fewer crowds and discover incredible bargains, too. Winter in New York City is magical. The air is crisper, and the lights twinkle a little brighter. As the days shorten and sweater weather turns to down coat season, the crowds melt away like the season’s first dusting of snow. I’m no lover of the cold, but I do enjoy the city on a fresh winter’s day — especially when I can walk into my favorite museums and restaurants without the wait. In short, there is no shortage of activities that are, frankly, just better in the winter! One benefit of winter in the Big Apple? Bargains. And I’m not just talking about January’s steep discounts at department stores like Saks and Macy’s and indie shops downtown (although I definitely enjoy those). Amazing deals abound for activities, too. I always take advantage of NYC Broadway Week in early February and buy two-for-one tickets to Broadway’s most popular plays and musicals. Last year, I took my son to see School of Rock the Musical, which was rocking good fun for us both. And during “Off-Broadway Week” in late February, small theaters offer twofers for new plays as well as long-running hits such as Blue Man Group (another show my son loved). A brisk round of winter sightseeing or shopping can whet the appetite, which leads to another fabulous winter bargain: NYC Restaurant Week, when top restaurants serve multi-course prix fixe menus for lunch and dinner, often for less money than a single entrée would normally command. Some of my personal favorites include swanky ABC Cocina near Union Square, Mario Battali’s fish-centric Esca for pre- or post-theater cuisine, and Asian fusion Morimoto in the Meatpacking District. What could be more inviting in the winter than a satisfying meal in a cozy restaurant, especially one with a real wood fire? So even when it’s not restaurant week, I seek spots like the old-school leather club chairs around the fire at 21 Club or indulge in a winter classic bouillabaisse at Marseille. And I also head to the trendiest restaurants, such as Le Coq Rico, where I’m seated on short notice instead of having to make a reservation a month in advance. Enjoy outdoor sports and exercise. Even after the holidays wrap up, ice skating rinks remain open for the duration of the winter months, providing a way to work off some of that comfort food. I love to grab a cocoa in Bryant Park, where the rink faces the beautiful Public Library, or in Rockefeller Center, where I get a snack in the spacious subterranean food court and watch the twirling skaters at ice-level while keeping toasty warm behind the glass walls. Winter spectator sports in the New York area are a treat as well: I’m a longtime Devils fan, so I head to New Jersey to watch hockey. But the Rangers play in the heart of Manhattan at Madison Square Garden, and the Islanders take to the ice at Barclay’s Center in Brooklyn. Speaking of Barclay’s, the Brooklyn Nets play basketball there, while the New York Knicks shoot hoops back at MSG. Head indoors for more culture and beauty. Finally, when the winter gets a little too cold or snowy for me, there’s one reprieve that warms me up: a trip to the Museum of Natural History to visit the winter-only butterfly exhibit, where hundreds of colorful live butterflies fill the 80-degree air. It’s a delightful summer break in the middle of the Manhattan winter. I also make a point to visit my favorite museum, The Whitney Museum of American Art in the Meatpacking District. In the winter, there’s no line and plenty of time to peruse of art and culture on even the chilliest afternoon a NYC winter throws my way.